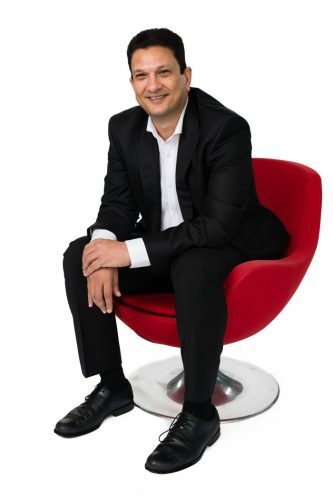 In the latest of International Airport Review’s Leaders’ Series 2017, Krishan Tangri, GM Assets, Brisbane offers an exclusive insight into the Australian airport. Australia’s Brisbane Airport is halfway through an ambitious ten-year, $3.8 billion infrastructure programme that is delivering a new runway, new aircraft aprons and taxiways, redeveloped and expanded terminals, new retail, commercial developments and the successful integration of the latest passenger friendly, efficient technology. It’s a huge investment aimed at positioning Brisbane Airport (BNE) as the premium international gateway to Australia by 2025, but to reach that goal it is essential that in addition to delivering this large investment program safely on time and on budget, we also ensure a positive ‘Return on Assets’ (ROA) without compromising service levels. All our projects are based on good strong business cases, with an eye on where our growth is going to come from, when it’s going to come and how it’s going to come. Ensuring a positive ROA means we are able to operate and grow this airport efficiently and sustainably, adding to our shareholder value. Privately-owned by Brisbane Airport Corporation (BAC), BNE is the third busiest airport in Australia and, unlike its major east coast rivals, operates curfew free, 24/7. It is also the premier gateway to Queensland and the major tourist attractions of Australia’s Sunshine State such as Great Barrier Reef, Whitsunday islands and the Gold Coast, which is set to host the Commonwealth Games in 2018. It is Australia’s largest capital city airport (by land size) and has two major terminals providing services to 29 airlines flying to 79 national and international destinations. Brisbane is the best connected city in Australia through its domestic network, but our goal is to build on this connectivity, using it to transform from an ‘origin and destination’ airport into a true international gateway. The airport has seen steady growth in recent years, due to a continuous flow of new airlines offering direct flights from Brisbane, complemented by growth in new routes and services from existing partnerships. 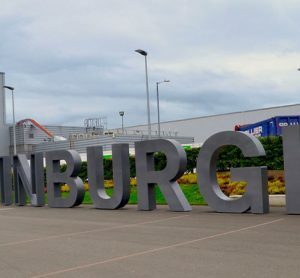 This has led to an increase in passenger numbers to almost 22.5 million in the last year, a number that is forecast to more than double by 2034. To meet that demand, BAC has invested $1.6 billion in major projects since FY12, improving and adding to its Award winning airport. Airside, landside and terminal projects continue to take place with BAC investing a further $2.2 billion over the next five years (FY17-FY21). Already, this has led to significant redevelopment of both the domestic and international terminals, with expanded retail, food and beverage options, new business lounges and the integration of new technologies to significantly improve passenger processing. Upgrades to aprons, taxiways and surrounding roads are in progress, along with a second major runway due for completion by 2020. 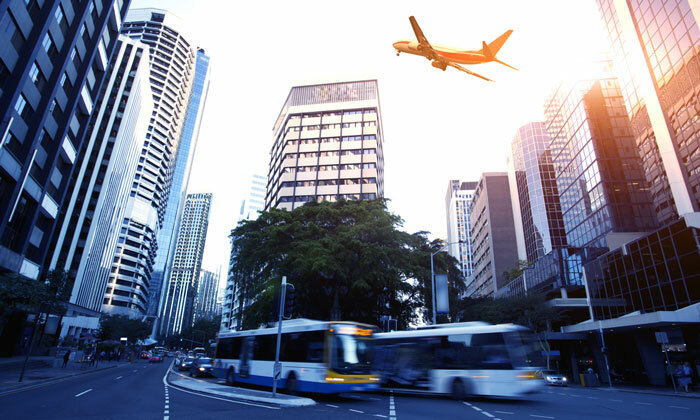 Brisbane’s New Runway accounts for the largest share of planned investment, intended to provide ample capacity for the next 40 years and beyond. In building a gateway for the future however, we are not only focused on engineering excellence, but also on ensuring that we use capital efficiently and effectively. This is in order to meet BNE’s business needs while simultaneously targeting improvements in return on assets (ROA) for shareholders. ROA is influenced by both revenue -aeronautical and commercial and costs – operating and capital. Brisbane Airport has specific initiatives to target revenue generation, such as increasing market share, supporting the creation of a commercial business hub within the airport, and enhancing customer experience. On the flip side, the operating costs of a large infrastructure business such as an airport are largely fixed, so we must challenge ourselves to find and act on operational efficiencies. At the same time, Brisbane Airport is now singularly focussed on efficient deployment of capital to improve its ROA. BAC’s capital efficiency program is based on a two-part strategy: a top down approach constraining the capital employed each year and challenging the business to deliver a portfolio of works without compromising service levels; and a bottom up approach to make the best use of existing assets by making changes in operations, optimise the project portfolio by selecting the projects that are best aligned with the business objectives and developing, delivering, operating and maintaining those assets more efficiently. BAC has already embarked on a few key initiatives to improve ROA without compromising service levels. These initiatives are grouped into three distinct categories. Firstly, it is about optimising the use of existing infrastructure. For example, the gathering of operational usage data to determine the gap between supply and demand, or the modelling of different operational layouts to improve passenger flow in peak times. Secondly, to optimise the existing portfolio of projects by continuously challenging which set of projects will provide best business benefits for the available capital; the feasibility of each significant project at pre-determined project gated reviews; how project success will be measured once completed and how it correlates with original assumptions. Thirdly, we are constantly looking for ways to optimise areas within the project lifecycle by applying ‘lean’ practices in development, delivery and handover of assets; analysing whole of life costing during feasibility studies; developing and publishing risk based technical guidelines; implementing risk based contingency management; benchmarking against external companies and setting stretched targets internally; implementing a supply chain assurance program that drives a value-add-culture and; through bundling of contracts, thus minimising the many transactions with vendors. Ultimately, spread across all three areas mentioned above, we work hard to know what level of service the infrastructure should fulfil and what operational data will support good ROA decision making. Some of the benefits have already been realised from these initiatives. For example, increased airport capacity through operational changes is postponing millions of capital dollars; BAC’s Asset Management is aligned with the international ISO 55001 Standard (the first airport in Australia to achieve this); achieving a 5 per cent reduction on the approved capital value of large projects which will provide an estimated saving of at least $15M, and many more. Providing a superior customer experience gives the airport a competitive advantage and technology not only improves that experience but it is also good for ROA. 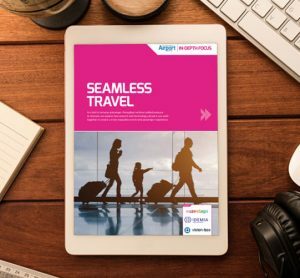 Airports as well as airlines, border agencies and suppliers are using new technology to drive efficiency and enhance the travelling experience. For example, online check-in has almost done away with the traditional check-in counter, particularly at the Domestic Terminal, while self-service check-in and baggage drop facilities reduces queue time and also delays the need for very large capital expenditure on terminal expansion. 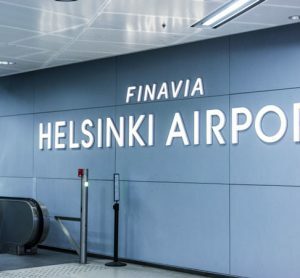 Through data analytics we now know more about how airlines are using boarding gates, allowing us to identify gaps that can be better scheduled, again delaying the need for capital expenditure. We can also use 3-D Building Information Modelling (BIM) of a new design to see if there are any conflicting services before something is built. This reduces the need for re-work and changes later on-site. Wi-Fi is being used everywhere, whether we are tracking passengers trying to manage queues better or predicting the customer shopping behaviour. Border agencies at entry and exit are using more sophisticated Automated Smart Gates which increase the throughput of passengers, again helping to delay the expansion of infrastructure. At Brisbane Airport we have used Augmented Reality (AR) to help visualise the end-users experience of a product before it is built, therefore reducing cost and improving efficiencies. For example, we worked with the Customs authority and passengers using AR to help redesign smart gate facilities and the location of those facilities through their experience with great success. The passenger throughput increased at least three fold with reduction in transaction time. It is important that passengers are more involved in the test phase than ever before to make sure any new process enhances their experience. In the past, technology used to come at the end of the traditional civil or building design process but now it’s one of the first things we look at to incorporate into a design. It’s going to become an even larger part of what we do, but the challenge now is determining what technology is relevant and how it can be used to produce the optimum outcome. As General Manager of Assets at Brisbane Airport, I lead a business unit of more than 100 people responsible for the strategic management of $4.6 billion in assets that include IT, maintenance services and construction works including the 10-year project to build Brisbane’s New Runway. BAC has developed reliable processes, tools and capable teams to plan and deliver work. The capability to manage complex projects in complex environments, such as capital city airports, is crucial. BAC has also signed up as a corporate member of the Australian Institute of Project Management (AIPM). It is a current requirement that every Project Manager, Programme Manager and Portfolio Manager be certified by the AIPM as a professional practitioner. Our business unit has become increasingly complex and diverse as our focus today is not only to create and maintain a large number of assets successfully but to improve ROA. Technical skills, of course, are required but it’s also important to understand the needs of the business which includes stakeholder management, commercial acumen and financial management, and that’s where we’re putting more focus on improving the capability of our team. Project management is now no longer a transaction-based service at Brisbane Airport. There has been a paradigm shift from just building assets to efficiently using capital to add value for Brisbane Airport. That has required a cultural change within the group and across departments. We provide additional training in financial management and understanding ROA to our staff, so that when they interact with clients, they understand the business drivers and can work collaboratively with them. The majority of capital spent for any project is with external suppliers. Building positive relationships in that area is key to driving value on projects. The project manager regularly works with the business to ascertain if we should change a process to resolve rather than to build a new asset. Project Managers no longer provide a service just to build something, they are also looking for a solution to a business problem. At BAC we have a large project management team. In 2010, when I joined Brisbane Airport, the Project Managers were all external consultants. Currently 50 per cent of my team is directly employed by BAC and the rest are seconded from specialist firms. Whether a full-time employee or a contractor, they are encouraged to work closely with internal clients and understand the business drivers so that they can provide customised solutions to help them meet their business goals. This is an enormous benefit to BAC’s ‘knowledge bank’ as it is building within the team critical experience they gain from working within the organisation to better understand the business. Being in the business, they are in a better position to challenge the processes which can help to make prompt decisions. A good example of the benefit for BAC is the proposed construction of an Auto Mall precinct which has recently been approved by the BAC Board. Following an initial cost estimate our Project Managers worked with the team of designers and planners, challenged their assumptions, reviewed the procurement strategy, source of materials, etc. and were able to reduce the estimate by approximate $25 million. That was the difference between making the project commercially feasible, or not. From an ROA perspective, it enabled the project to be given approval to proceed to the next phase. Diversity is important for the best outcome in any business and at Brisbane Airport we are seeing more women showing interest in the field of project management, both from within the company and applying for advertised positions. Women bring valuable skills to our team that are beneficial to the role and have proven to be highly organised, methodical in their approach and very people-centric, which are all good for building relationships with stakeholders and suppliers. Airlines are our primary clients, as well as the users of the facility and our community. When airlines are facing tough business conditions there is a lot of pressure on airports to demonstrate that we are managing the assets as efficiently as we can. The changing commercial climate has required us to change our strategy from just building great assets to building to the right level to meet business needs more efficiently with optimum cost outcomes. On the other hand, there is also a lot more scrutiny from the community side on the service levels provided by airports. Airports in Australia are now in the unique position that they are seen as a public asset in private hands. That brings its own challenges, where returns to shareholders are important but at the same time, community expectations must be met. Brisbane Airport has taken a balanced view on that by continually investing in the community, something that has been consistently recognised by Australian regulators in their annual surveys, which rate profitability of the airport balanced with the service they are providing to the community. It is no coincidence that BNE has been rated as Australia’s No. 1 airport for quality of service 13 years in a row by the Australian Competition and Consumer Association (ACCC). Listening to and working with the community helps to build social capital with them, as well as government stakeholders, an important factor in the continual successful growth of a curfew-free, 24/7 airport. It’s been a big year for awards at BNE with the airport voted the Best Airport in Australia/Pacific Region together with The Best Airport Staff Service in Australia/Pacific Region by air travellers in the 2017 Skytrax World Airport Awards. It’s the second year BNE has been named Best Airport after taking out the title in 2016, and, while we are proud of what we have achieved, we want to be even better. 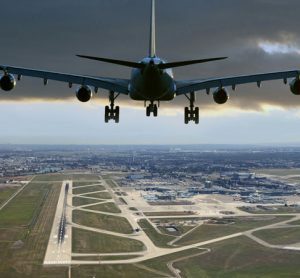 That means not only building the most efficient and effective aviation services in Australia, but also putting in place the best project management services in the country. 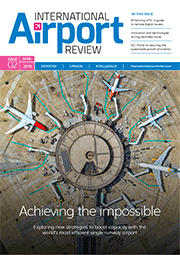 There are airports that continue to view project management as a transaction-based service. At BNE we see it as an opportunity to add value to the business. At Brisbane Airport, ‘Return on Assets’ drives what we want to do, helping us to work even more collaboratively with our customers and suppliers to add value and efficiently deploy capital. Our focus is on providing capability, systems and processes that support that. Most airports continue to use traditional techniques to deliver projects, but through innovative thinking and a determination to do better, Brisbane Airport is now focusing on ‘Return on Assets’ to achieve its goal of being the premium international gateway to Australia by 2025.